Air France operate from Terminal 4 at Heathrow and the shared Air France / KLM area is easy to find with strong branding. Having checked in the night before I was able to progress straight through to security. Being one of the first morning flights, I was through in less that 30 seconds and was one of the first airside. Departure is from Gate 24 – this is one of the furthest gates from the central concourse and is a 15-minute walk from security. The sprinting and worn out passengers seen towards the end of boarding suggest this still catches people out despite the clear signage. Priority boarding is strictly controlled, and this is followed by Economy Class customers. There is no staggered boarding, but it only takes 5-minutes and most passengers board in a quick and efficient manner. A good selection of newspapers and magazines are available on the airbridge for passengers to help themselves. 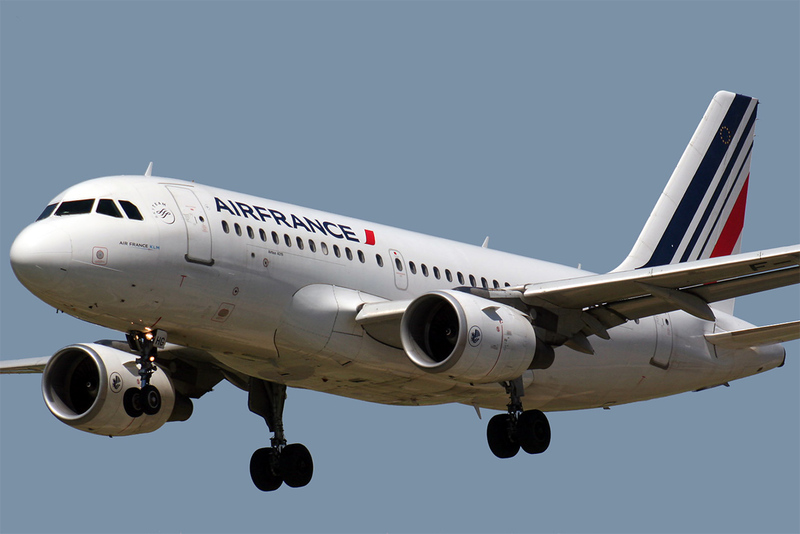 The flight is operated by an Air France A319 aircraft and Economy Class was full. Economy Class customers are permitted a single checked bag up to 23kg depending on fare type, but all customers are allowed 2 pieces of hand luggage not exceeding 12kg for both items. 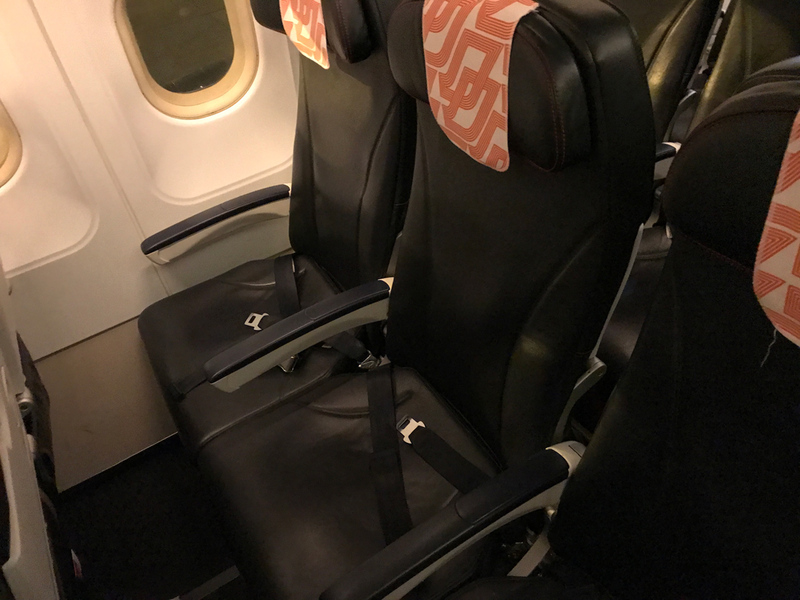 Economy Class seating is configured in the standard 3×3 configuration and offers a 32-inch seat pitch. Whilst customers will not be particularly comfortable on longer sectors it is perfectly satisfactory for the 45-minute flight and is more spacious than other mainline carriers in Europe. Seat cushioning is good and the leather upholstery and small headrest enhance customer comfort. Two toilets are located at the rear of the aircraft for Economy Class customers. Just hand wash and paper towels are available – the washrooms are clean. The flight pushed back on schedule and with an unusually short taxi at Heathrow, landed into Paris 25-minutes early. 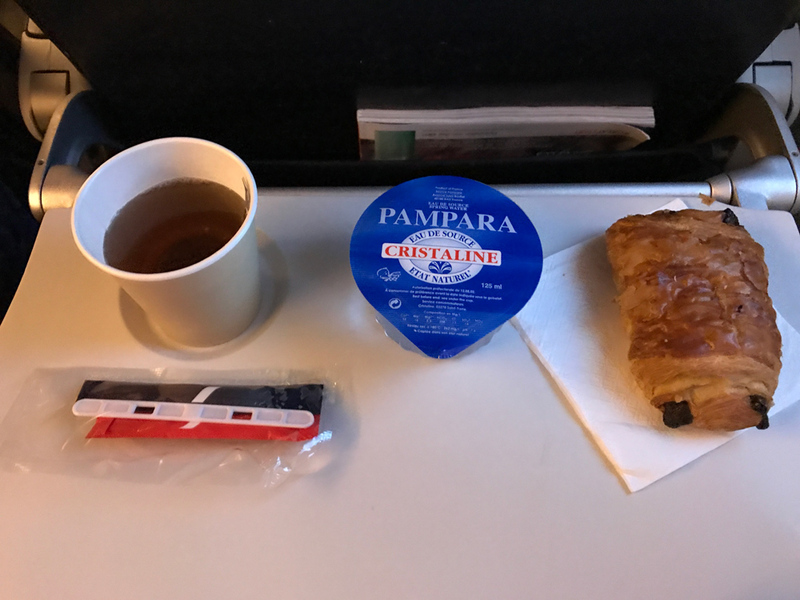 For this early morning flight, Economy Class customers are provided with a small pastry with a hot drinks including tea, coffee and hot chocolate. A small tub of water is also available. A nice addition to the service is the fact staff offer the pastry option 3 times, and although the single option is quite repetitive it’s nice to be offered it more than once. If I was to be highly critical, the pastry was cold but otherwise perfectly good considering the flight time. No inflight entertainment is available on narrowbody aircraft, and nor is any in-seat power. WiFi or streaming is not available. No blankets or pillows are available. Opportunity for staff to interact with passengers during the 45-minute flight is limited but they still managed to display a positive attitude and good personality. During boarding two staff provide a friendly welcome, and during all subsequent interactions staff appear approachable, and complete the service efficiently. Overall, service is good, which reflects well on Air France. With this being such a short flight there is little that made it memorable, however, service is quick and efficient, and the flight arriving 25-minutes early is a bonus, especially as immigration lines are long in CDG. The hot drinks and complimentary pastries are good, and it is nice that staff offer the pastries more than once. Given that British Airways prices on this sector were running at significantly more at the time of booking it was also advantageous to avoid the buy-on-board service and still pay less for the ticket.